Published July 9, 2015 at 1152 × 864 in It’s a great day in South Carolina, and tomorrow will be even greater. 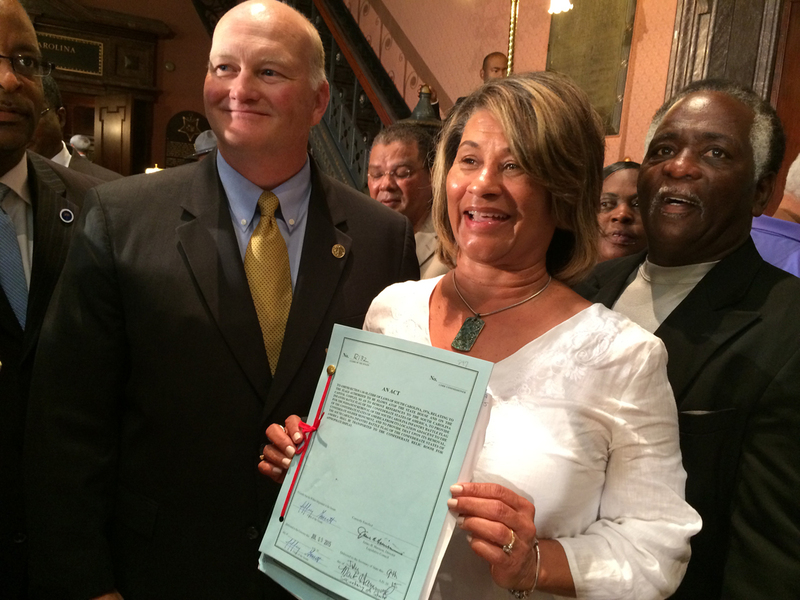 I believe this is Wanda Bailey, Strom Thurmond’s granddaughter, holding the bill after the signing. A bunch of people lined up to have their pictures taken with it and Secretary of State Mark Hammond, left.